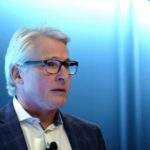 VANCOUVER, Feb. 13, 2019 /PRNewswire/ – 1933 Industries Inc. (the “Company” or “1933 Industries”) (CSE: TGIF) (OTCQX: TGIFF) (FWB: 1QF) a licensed cultivator and producer of cannabis flower and concentrates and manufacturer of hemp/CBD wellness products, is pleased to report that its subsidiary, Infused MFG. (“Infused”), continues to expand its reach across the United States and has attained product distribution into 46 states. 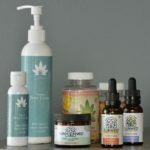 Infused, a manufacturer of proprietary hemp-based, CBD infused health and wellness products continues its market penetration in the U.S., where it has established its own distribution to over 600 stores. Infused’s recognized brands, including Canna Hemp™, Canna Hemp X™, and Canna Hemp Paws™ are available in over 250 retail stores in California, Nevada, Arizona, and Colorado, with the remainder distributed across the U.S. In addition, the Company has an established e-commerce presence, sales agents, call-centre, and a dedicated sales and marketing team who work directly with each retailer, building and maintaining relationships, providing customer service and education. All production is fully integrated in-house, with proprietary chemical-free formulas, containing non-GMO, organic ingredients and real cannabis-derived terpenes. The Company has established high standards by which CBD is formulated and all products are tripled tested – internally, independently by a certified laboratory for quality assurance and then re-tested. The Company’s exclusive nanoparticle technology for maximum bioavailability aids in better absorption and effectiveness. 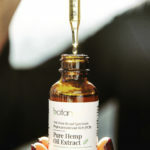 The recently adopted Agriculture Improvement Act of 2018 (“Farm Bill”), which legalized hemp as an agricultural commodity federally in the United States, is bringing renewed focus on the hemp-CBD industry, which according to a recent study conducted by the Brightfield Group could account for US $22 billion by 2022. 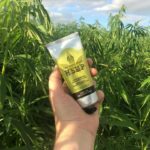 Canna Hemp™ CBD Relief Cream was named “Best Topical” by Leafy’s Best in State: The Top State Specific Products and Experiences of 2018. Infused’s award-winning transdermal Pain Relief Cream delivers fast-acting targeted relief to areas of discomfort, combating inflammation, arthritis joint pain, backaches, muscles spasms, strains, bruises, cramps, and headaches. 1933 Industries Inc. is a vertically integrated cannabis company with operations in the United States and Canada. Operating through three subsidiary companies, 1933 Industries owns licensed medical and adult-use cannabis cultivation and production assets, proprietary hemp-based, CBD infused products, CBD extraction services and a specialized cannabis advisory firm supporting clients in security, intelligence and due diligence. The Company owns 91% of both Alternative Medicine Association and Infused MFG. and 100% of Spire Global Strategy.